Chronic kidney diseases (CKD) are global healthcare burden to society as affecting 8–16% of the population worldwide. Considering the growing aging population, the growth rate of kidney diseases are expected to increase exponentially especially in the developed countries. The concern with kidney diseases are that they are mostly diagnosed at advanced stage, when most of damage is done and a person is on stage of permanent kidney failure. At initial stages, symptoms are mild and people are unaware about the how dangerous the disease can be. For us, it is very important to know the importance of kidney. The human body has many vital organs, and the kidney is one of them. The kidneys are two bean shaped organ present above the hipbones and have many key roles in maintaining human health. Kidneys are the body’s waste disposal system, filtering our blood, cleaning out the waste products through urine and maintaining a safe balance of minerals, salt etc. They also produce several hormones: erythropoietin (EPO), which increases the production of red blood cells and calcitriol (Vitamin D3), which promotes absorption of calcium and phosphate for healthy bones. When a person suffers with kidney disease, the kidney gets over burdened leading to its failure as our kidneys have limited ability to repair themselves. No effective treatment is available to halt kidney disease progression and patient’s options are limited to dialysis or kidney transplant. Though kidney transplantation is the most effective treatment approach; the availability of kidney for transplant is far behind demand. Therefore, novel treatment modality, such as regenerative cell-based therapies are very much required to be developed for CKD. Cell therapy is emerging as a promising alternative treatment approach for many diseases with no other treatment options.Mesenchymal stem cells are the body’s natural repair system against any damage to the tissues. Stem cells present in the bone marrow protects the kidneys from injury and accelerate healing process. A large number of preclinical studies have been carried out to evaluate the potential of Mesenchymal stem/stromal cells in experimental chronic kidney disease. The beneficial findings of studies demonstrates that these cells release proteins and growth factors that help kidney cells to grow and promote the kidney’s own stem cells to repair kidney damage, suggesting a renal regenerative effect of cell-based therapies. Clinical trials using MSCs are being conducted worldwide for acute kidney injury, polycystic kidney disease and other kidney disorders. The autologous applications of stem cells, isolated from either patient’s own bone marrow or adipose tissue has great potential in improving kidney functions by replacing dead and damaged kidney cells with new healthy cells. Reduction in swelling, especially around eyes, ankles, legs etc. 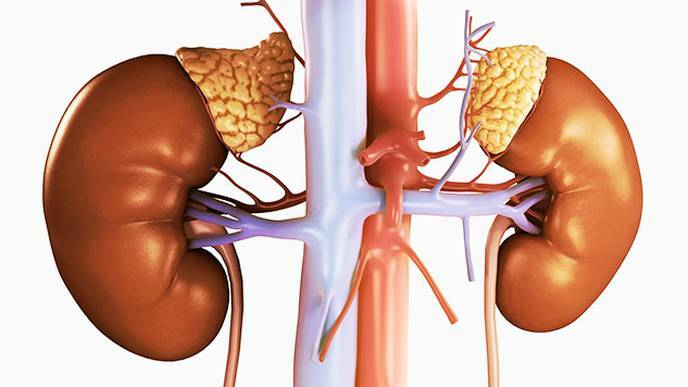 In coming future, stem cells with their promising applications in regenerative medicine will definitely obviate the critical need for kidney replacement.